Subic Bay lies on the western coast of the Philippine island of Luzon and sweeps westward in a brushstroke of aquamarine until it blends into the South China Sea. 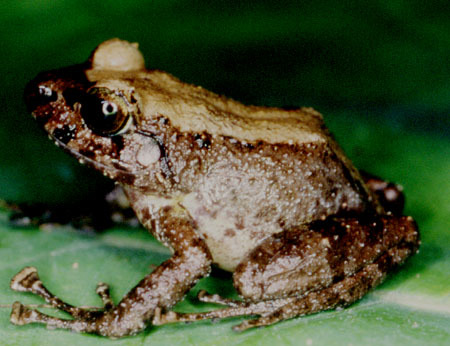 The region is home to as many as 122 species, including the Philippine gecko and the endangered Luzon forest frog. Fifty feet beneath the glassy surface, one of the bay’s humbler marine inhabitants inches imperceptibly across the sandy bottom. That organism is a cone snail, a mollusk known to beachcombers and marine biologists alike for its toxic venom, which was recently developed into a clinically used painkiller. The cone snail is just one example of the opportunities the world’s biodiversity offers the pharmaceutical industry. And now, a new study may have researchers returning to the venomous creature in search of the next new drug. In the mollusk world the cone snail is notorious thanks to its deadly venom, which was first studied in the 1960’s by Baldamero Olivera, now a biologist at the University of Utah. In the early 1980’s Olivera discovered a compound in the toxin that has the pain killing properties of morphine but is 1000 times more potent.The compound was developed into a drug, Ziconotide, which was approved in 2004 for the treatment of chronic and intractable pain caused by AIDS, cancer and neurological disorders. It is far from the only clinically used drug with a biological source (see salmon, sea sponges) and it’s not even the first to come from a venomous creature: The investigational Type 2 diabetes drug Exenatide was developed from an enzyme in the venom of the Gila monster. But Olivera believes the cone snail may have something more unexpected to offer in the way of pharmaceuticals. Only a few years after Ziconotide made its debut, Olivera noticed traces of a compound in the cone snail that did not appear to have been made by the mollusk itself. “He said that he had a feeling that there was some kind of symbiotic bacterial component that might be involved here,” says Eric Schmidt, a medicinal chemist at the University of Utah. Along with Schmidt, Olivera tapped Margo Haygood, a marine microbiologist and researcher at Oregon Science and Health University, to look into whether this foreign compound was left behind by tiny microorganisms living in the cone snail. Haygood and Schmidt are among only a handful of researchers studying the symbiotic associations between ocean animals and the bacteria found within them, which create compounds that benefit their hosts. Haygood first showed that a cancer-fighting compound found in a small aquatic invertebrate, the bryozoan, was actually created by symbiotic bacteria living in the animal. Together the two researchers looked for a similar bacterial relationship in the shipworm, a mollusk that is an evolutionary cousin of the bryozoan. Haygood and Schmidt not only found the bacteria they were looking for, but also another possible drug candidate: The shipworm microorganisms were producing compounds with antibiotic properties. But while drug researchers occasionally hit the jackpot looking for compounds in bacteria-hosting sea life, no one suspected these bacteria were hiding in cone snails, too. Symbiotic bacteria produce hundreds of compounds, many of which are thought to play a role in protecting the host by way of chemical defense. Haygood and Schmidt weren’t too surprised to discover symbiotic bacteria in the bryozoan or the shipworm, since they both have soft bodies that make them vulnerable to attack. The cone snail, however, is protected by both its shell and the nasty venom it can unleash on its predators. Schmidt wasn’t convinced that cone snails need symbiotic bacteria to produce compounds for further protection. “I thought it was really a long shot,” he says. But how this compound works is biologically intriguing in itself. When it was tested on a number of different ion channels — pathways through which molecules enter and leave a cell — the pyrone compound appeared to be particularly effective at blocking a group of transient receptor protein (TRP) channels found in a variety of human cells. Christopher Reilly, a professor of pharmacology and toxicology at the University of Utah, studies TRP channels as part of his research on the effects of air pollution on the human lung. “There’s known roles for these channels in asthma, chronic pulmonary disease and emphysema,” he says. Mollusks are a rich source of novel compounds, but most of these molecules will never be clinically relevant. “You have to look at thousands of compounds before you find one that’s really practical from a medical point of view,” says Brad Spellberg, an associate professor of medicine at UCLA Medical Center. That is a lot of work to put on the shoulders of academic research; new drugs have not traditionally been developed from molecules discovered by academia. “That’s a new thing,” says Spellberg. “The historical model was that all of these compounds were discovered in pharma, developed by pharma and sold by pharma,” he says. But pharmaceutical companies are now realizing that the expense of clinical trials and the time it takes to run them cut into the company’s return on investment, which they will only see if the drug makes it to market. And most don’t. “It’s increasingly scientifically difficult, it’s not financially rewarding, and the risks and expense have gone way up. It’s easy to see why investors have run for the hills,” says Spellberg.